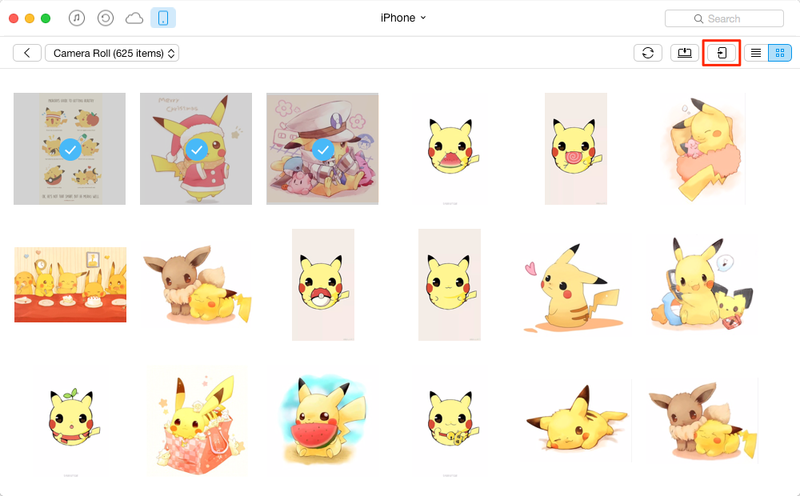 How to copy pictures from iPhone to iPad? Are you seeking for methods to upload photos from iPhone to iPad? Here you can find the solutions in minutes in this iMobie guide on how to copy photos from iPhone to iPad. Now download and install AnyTrans on your computer to manage your iPhone or iPad content freely before reading this guide on how to copy photos from iPhone to iPad. No matter it is a birthday party or a holiday tour, people are fond of taking high-quality pictures with their handy iPhone. What if your best friends want to have your amazing tour photos on his/her big screen iPad? Or you may want to keep these valued images on your own iPad? You may ask the question as many iPhone or iPad users do: How to copy photos from iPhone to iPad? We talk about how to send photos from iPhone to iPad using AirDrop and Photo Stream in the previous guides, here we will talk two more methods to copy photos from iPhone to iPad. Now follow to choose the one you prefer. By far one of the simplest way to copy a few photos from your iPhone to your iPad is to email them to the account you have set up on your iPad, then open the email on your iPad, and save the file locally. Step 1. 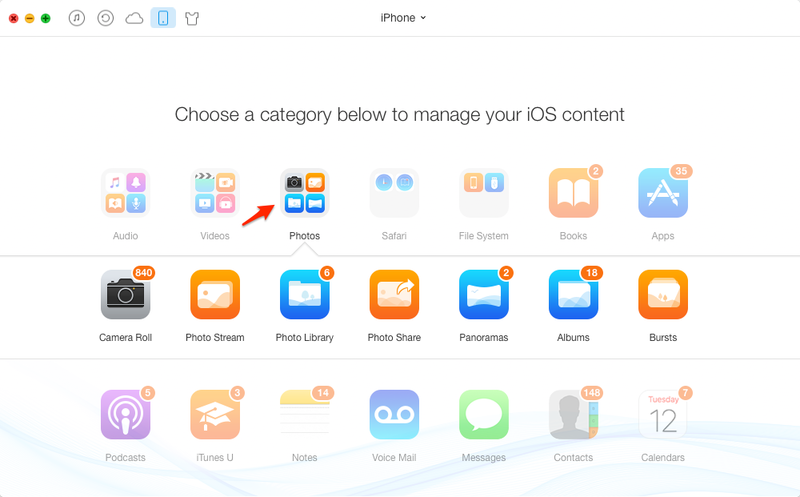 Open the Photos app on your iPhone, and choose the pictures you want to copy to iPad. Step 2. Then tap on the "Share" button > Tap Next > Select "Mail," enter the email address used by the iPad > Tap 'Send" to send the mail. Step 3. On your iPad, open the email in the iPad's mail client, tap and hold on the photo, and then select "Save Image" to save the photos to the iPad. Note: If you just have one or two images that you want to transfer, you might choose to send the pictures via email. But if you want to copy all of your iPhone pictures to the iPad, you may need to try the second method below. AnyTrans is an all-in-one iOS content manager that transfer, backup and manage your iPhone, iPad or iPod data all in one utility. Copying photos from iPhone to iPad is just a small part of AnyTrans, and it manages to put your iOS content to anywhere you like - to iTunes, to computer, and to another iDevice. Now follow the steps to upload your photos from iPhone to iPad. Step 1. Download and install AnyTrans on your PC/Mac, connect both your iPhone and iPad to it. Step 2. Open up AnyTrans, click your iPhone name on the homepage. Select Photos, and choose the photos from the Camera Roll/Photo Stream/Photo Share/ Album. Step 3. Preview the photos you want to transfer, then click the To Device button on the top-right to copy the pictures from your iPhone to the iPad. Besides copy photos to anywhere you like, AnyTrans also allows you to manage your iCloud backup, you can freely download selected iCloud items to your computer, including photos, videos, messages, contacts etc. At the same time, don't forget to share this guide to your friends. Take a tour with AnyTrans now!